New 2019-2020 House League Registration Form Now Available HERE! Wildhawk Basketball provides children ages 6 through 14 (grades 1 through 9) an opportunity to participate in an Instructional Developmental League. Our next House League Program will begin September 29th, 2018 and will conclude on February 2nd, 2019. 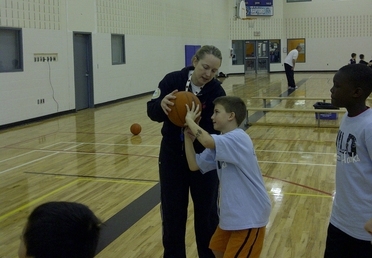 Weekly sessions will be held on Saturdays at RIM Park (2001 University Avenue East) in Waterloo. This 14 week Program consists of four (4) age group divisions which will run on Saturdays only. PLEASE NOTE: We Did SELL OUT Months Before (By July 30th) This Past Season, So Please Don't Delay In Registering If Interested! Novice Co-Ed: (Grades 1, 2, 3 & 4) 9:00am - 11:00am Status: REGISTRATION NOW OPEN!!! 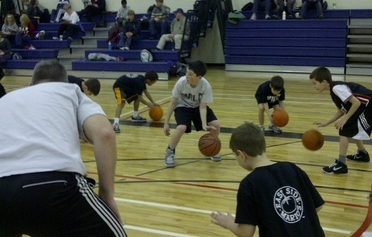 Atom Boys: (Grades 5 and 6) 11:00am - 1:00pm Status: REGISTRATION NOW OPEN!!! Bantam Boys: (Grades 7, 8 & 9) 1:00pm - 3:00pm Status: REGISTRATION NOW OPEN!!! All Girls (Grades 5, 6, 7, 8 & 9) 3:00pm - 5:00pm Status: REGISTRATION NOW OPEN!!! To Enrol, download a new House League Registration Form for next season (2019-2020) HERE or a Brochure/Registration Form can be picked up at one of the 3 Kiosks at RIM Park in Waterloo. Please Note: 3 of our 4 Divisions SOLD OUT and had waiting lists this past season, so please Register Early. All Divisions are filled on a first come, first served basis. Please email dave@wildhawk.ca or call Wildhawk Basketball at 519-572-4819 for more information. PLEASE NOTE: WE DID SELL OUT MONTHS BEFORE THIS PAST SEASON, SO PLEASE DON'T DELAY IN REGISTERING IF INTERESTED!